Julian Burnside, lawyer, speaks passionately about the need to do something in the face of injustice. When you see something, what will you do? 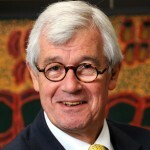 In 2004 Julian Burnside was elected as a Living National Treasure and in 2009 he was made an Officer of the Order of Australia.